My mother is Scottish and can probably count on one hand the number of times she has ventured past ankle-deep in the ocean. 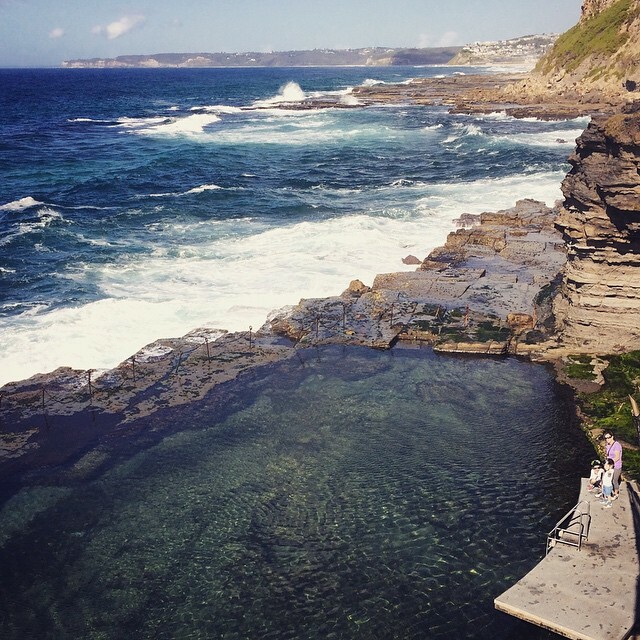 My Australian father on the other hand was a self-taught swimmer and has retold many fond memories of spending his childhood 1960’s vacations by the seaside. I actually don’t know how or when I first started to swim – was it nippers at the beach, was it school swimming lessons or was it at my neighbors’ backyard swimming pool? The details have dissolved; swimming was and still is omnipresent in my life. 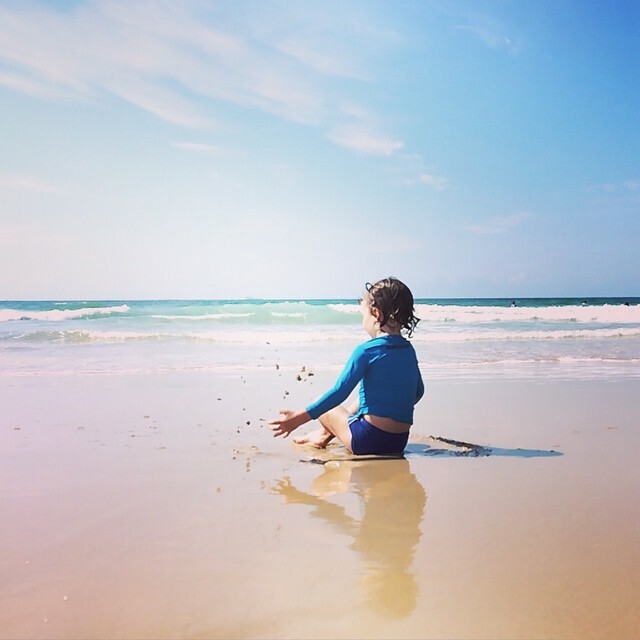 Now as a mother, raising children with an innate connection to water, it’s fair to say salty hair and wrinkled fingertips are an Australian cultural phenomenon. 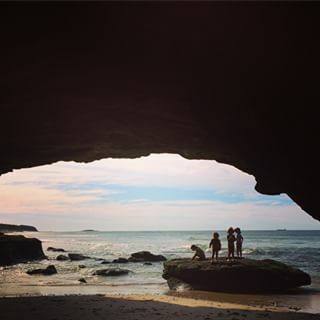 You can generally pick out an Australian by their comfort in the water. With our amiable climate and appreciated coastline, from a very young age we are exposed to the enjoyment swimming for entire days in the water enables. With serious knowledge that it’s not to be taken for granted, and that the ocean in particular is a life force onto its own, not to be feared but understood and experienced with great respect. 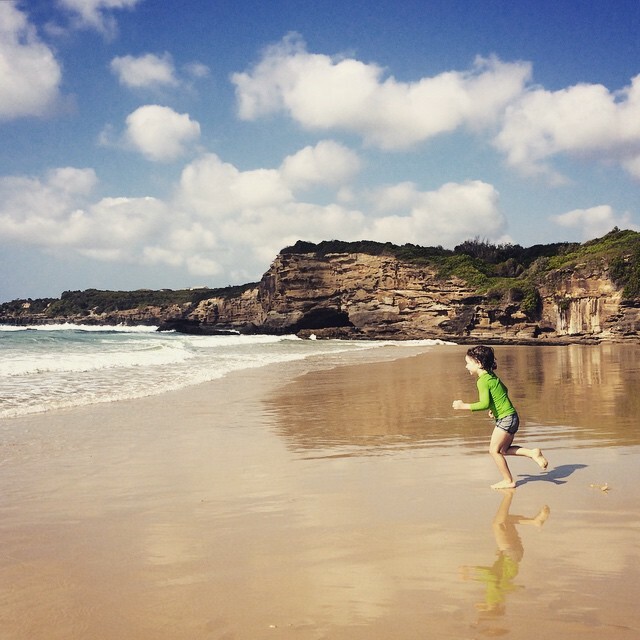 Whilst the ideal of raising free-range children is my approach to parenting, where their days are free to explore nature without rigid structure and rules, for me personally, formal swimming lessons from the age of around two years is not an option, it’s a given, just like brushing your teeth and eating vegetables. Primarily this comes from a safety and risk aversion perspective, because water of all type is literally our backyard. 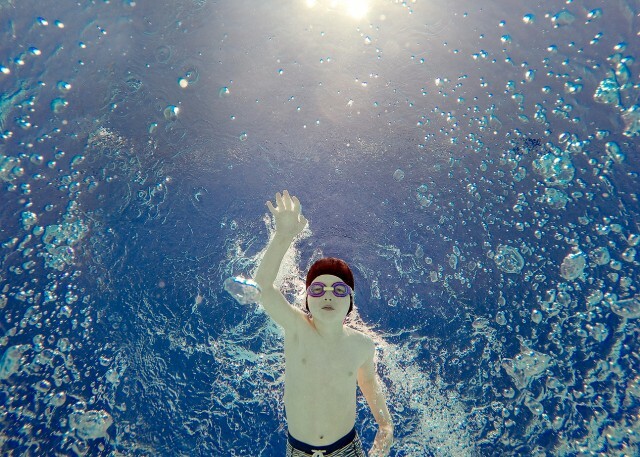 The drowning statistics in children have decreased in the last decade but sadly many could still be prevented. 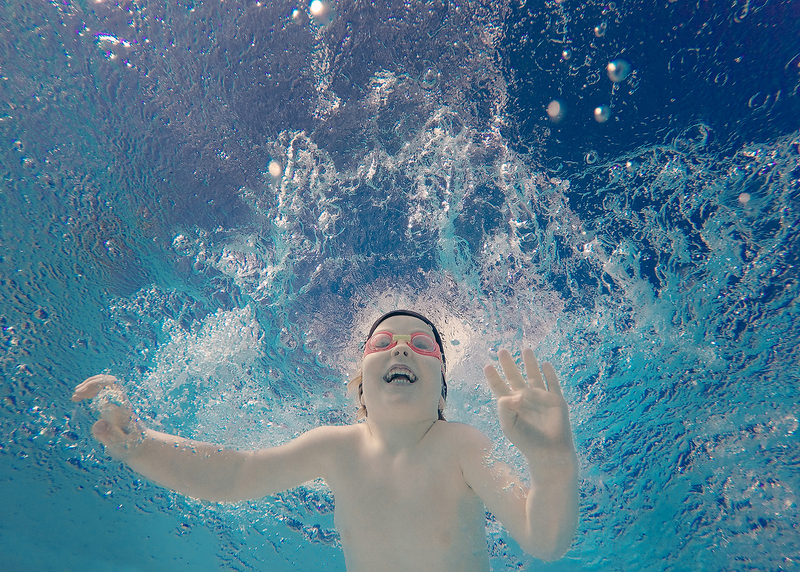 By being fully present with my children when they swim and by knowing where their capabilities lay I become very connected with my children and their relationship with water. This takes a level of stress from my mind because at whatever level they are at I know their limitations and so do they. For this same reason, I choose the option of learning to swim without the aid of floatation devices. Like learning to ride a bike without training wheels and not using a walker for a pre-mobile baby, it is to avoid any false perception of ability and comfort. It is then a skill developed with integrity and a more significant learning process, done so in a fundamental way. Many learn-to-swim advocates maintain that arm and back bubbles interfere with learning swimming skills and proper techniques. For me, as a mother teaching three boys to swim, I have found the complete avoidance of arm or body floatation devices goes back to the reason for learning to swim, and that is not to be the best or the fastest swimmer, but to become one with the water, like in the womb where a seamless connection exists, and that can only be instilled ‘al natural’. Each year millions of swimming devices are produced (Not to be confused with life jackets and vest for boating) and if you consider this environmental impact as well, the benefits of learning to swim without devices is tenfold. 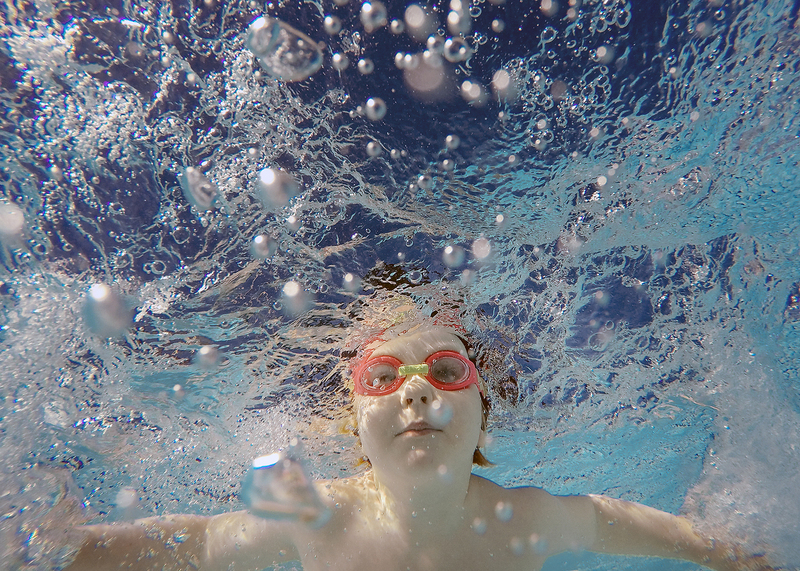 Swimming is a low-impact form of exercise that is accessible to people of all ages. It’s a cardiovascular workout for the whole body and is reputed to have beneficial impacts on asthma and various breathing-related allergies. Its gentle repetitiveness is a wonderful stress reliever akin to meditation. Besides the obvious safety and physical health benefits of being able to swim it has only been as I have ‘matured’ that I have realized the real life parallels the simple act of swimming espouses and it’s these soul traits I want to instill in my children. Life for me recently took an almighty tumble, and what is the one thing I have been craving and indulging? No, not chocolate but swimming. When I reflect on past life upheavals I realize swimming is a common antidote to finding a new equilibrium. Water opens and supports the physical body, for example when your sense of self feels out of balance, swimming helps realign your chakras. An understanding of chakras informs us about the importance of flow, the flow of body and soul energy. 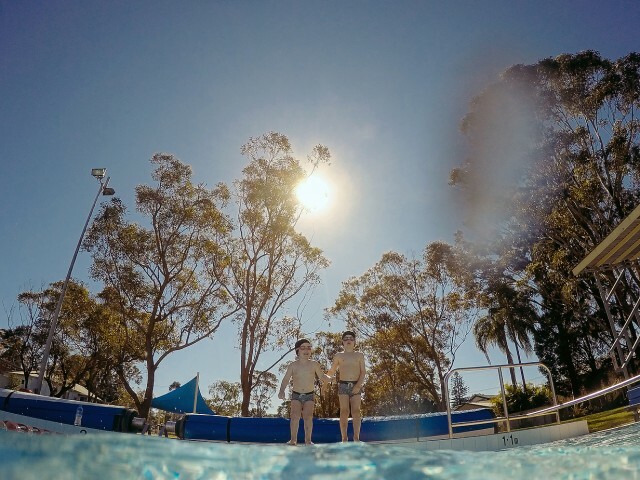 Swimming in water helps both emotional and physical, release or increase of energy as well as build confidence, clarity and increases a holistic connection to life. 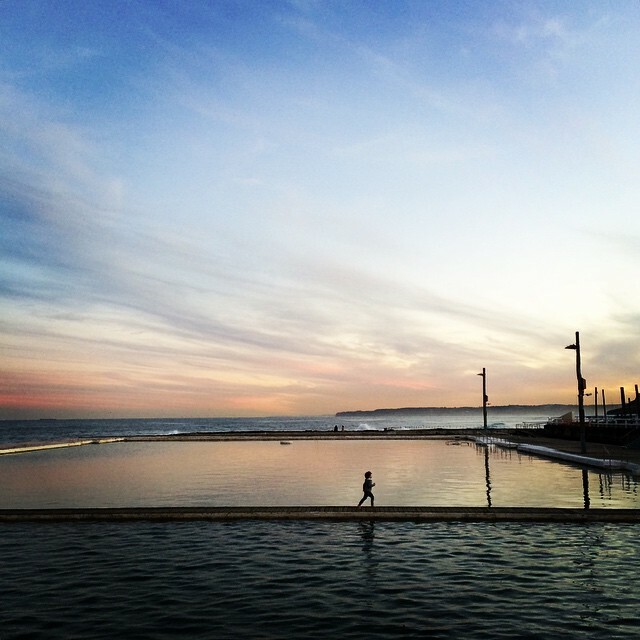 For all of these reasons, the simple act of swimming in water has been metaphorical, it has held me, and healed me. Have you ever realized how many life idioms are swimming related? It takes courage to “test the water” and “get one’s feet wet”. Sometimes we need to be impulsive and “dive in head first” or “take the plunge” whilst there are other times in life we need to pause, “tread water” and enjoy the here and now just “floating along”. 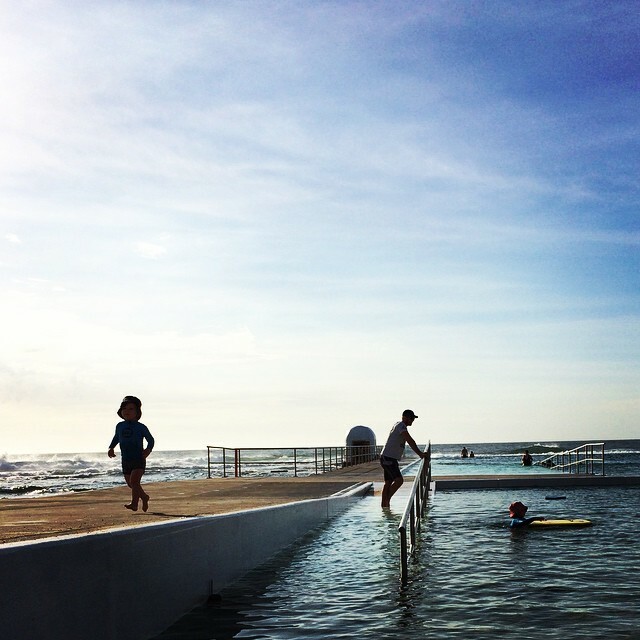 Where I live on the east coast of Australia, we are fortunate to have a selection of natural or man-made ocean baths. 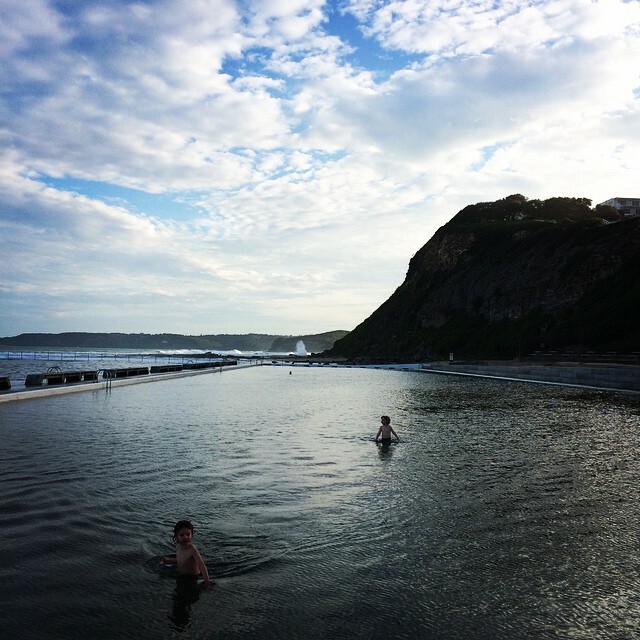 Every time I venture down to these baths, usually early morning, mature-aged swimmers doing their daily laps welcome my young boys and I into their ritual. They all ooze the fitness glow, regardless of age. They are sun-kissed, energetic and are accessory-free (well, besides a pair of goggles). The physical health benefits of swimming for all age groups are well-known but down here at sunrise it’s the gentleness on bones and joints that becomes necessary with age, when pregnant or being overweight where swimming shines in its benefits. 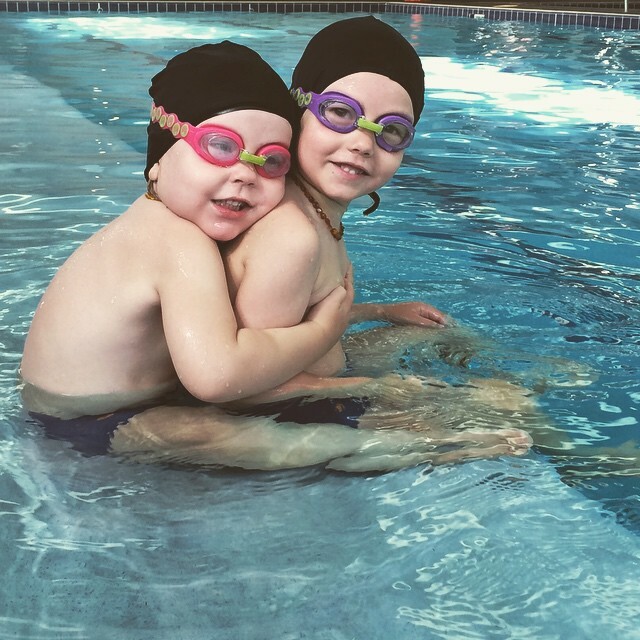 Seeing all these walks of life in the one place doing the same thing with a multitude of benefits, reinforces my commitment to my boys of teaching them to swim well and properly at a young age. Once you learn to swim, it’s a skill for life, it’s an equalizer and an enabler and as those strokes amount and you effortlessly glide, it becomes a meditation and undoubtedly a metaphor for life. 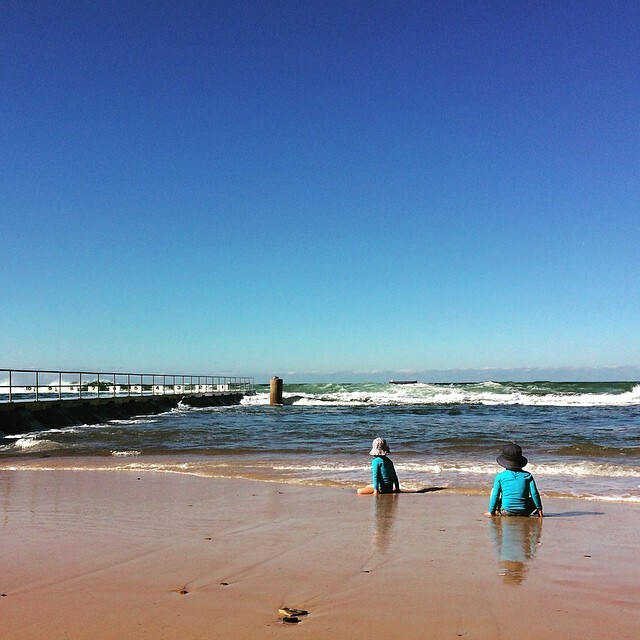 Leslie is mothering three boys under five, in a coastal town in Australia. Lesley spends her days forming a creatively rich life together with a beautiful balance of sports, arts and crafts. A Waldorf impulse informs Lesley’s mothering, which she was drawn to by a strong connection to the environment. Lesley is raising her children with a gifted awareness, and her family is a constant source of inspiration of creativity and strength. Through my friendship with Lesley I have seen repeatedly how consciously making the right choice within the dance of life, goes along way in making this world beautiful. 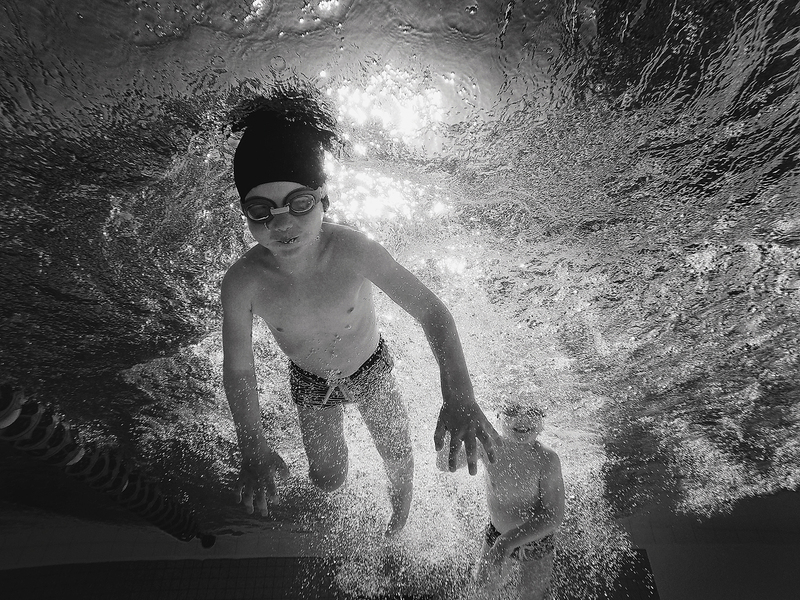 This entry was posted in L E A R N and tagged childhood swimming, lesley Irvine, swim, swimming, water. Beautifully written Lesley. Evocative words that made me think about my own relationship with swimming and how it’s become neglected since having children. Interesting words about flotation devices as well, it’s made me re-consider their use. Thank you for reading, and for leaving a thoughtful comment Lucy! What a beautiful post Lesley and Kirsten. The metaphorical dimension of your message is inspired and deeply wise. Love to you and thanks for sharing. nice story on swimming, i swam a lot as a child and try to do it a lot with my own children. I dont ever swim for exercise though, which i have to start. i love what swimming has taught me in life.